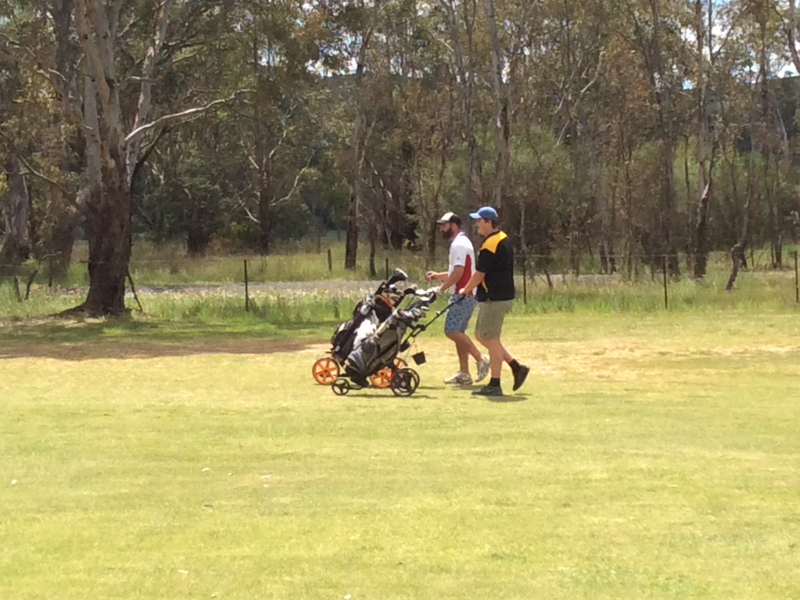 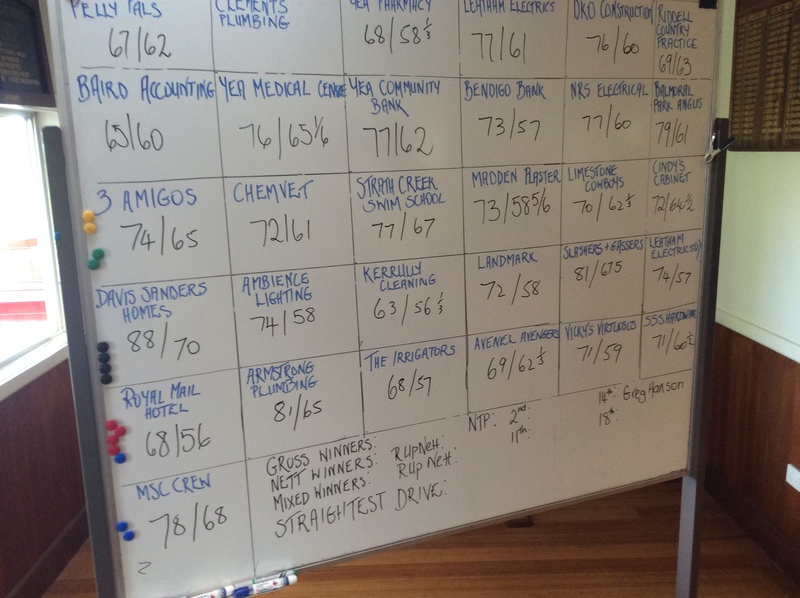 Friday at Royal Yea GC saw a most successful and enjoyable corporate fundraising day played by over 90 golfers. The course was in marvellous condition, reflecting the many hours volunteered by members to achieve this. There were over 31 teams playing 3 Person Ambrose. 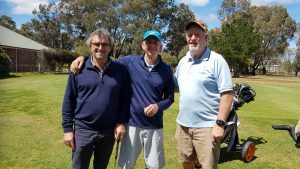 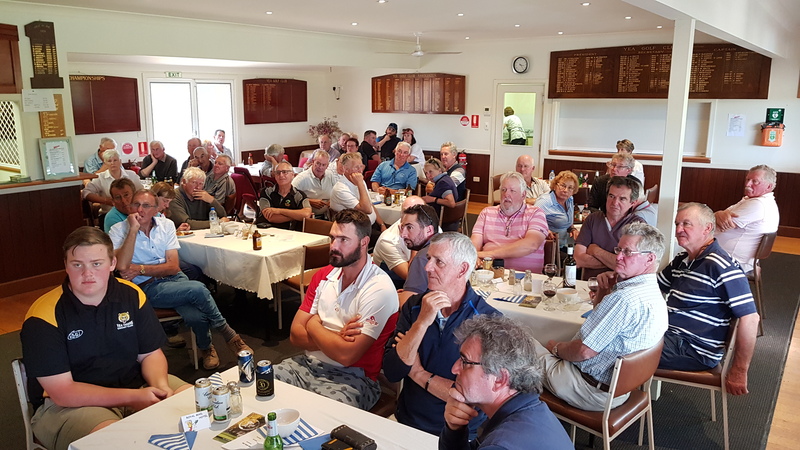 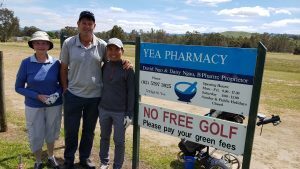 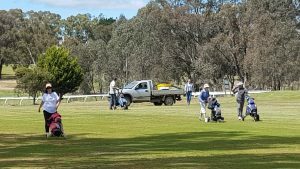 The Winning Men’s team was the Royal Mail Hotel of Yea comprising Ross Percy, Darcy Pell and Mark Steiner with 68 off the stick nett 56. 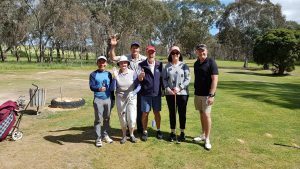 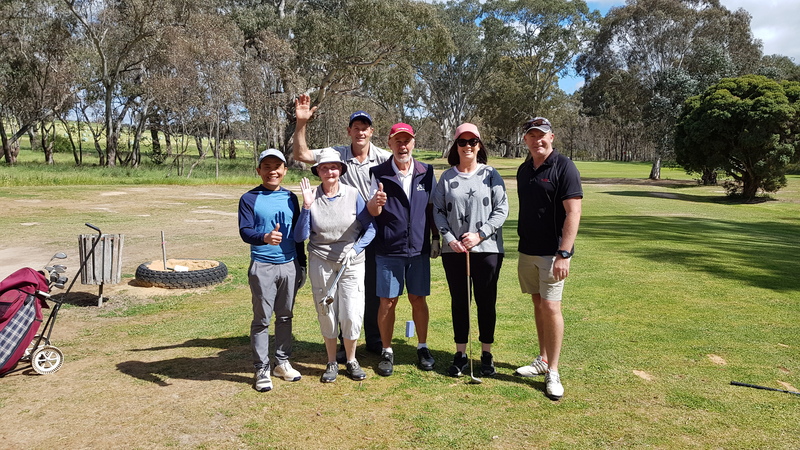 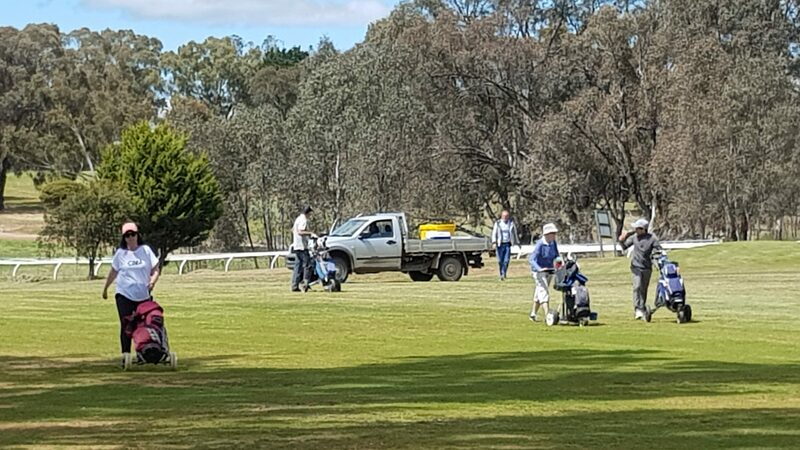 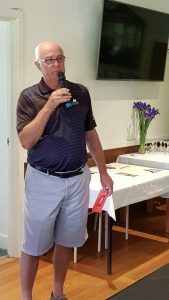 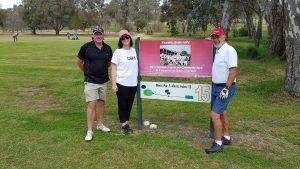 The Winning Mixed Team was the Bendigo Bank comprising the State Manager Justine Minne, Regional Manager Shaun Leech and local director Russell Wealands with 73 off the stick nett 57. 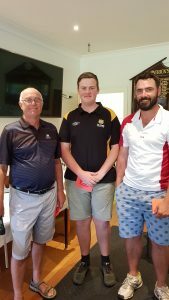 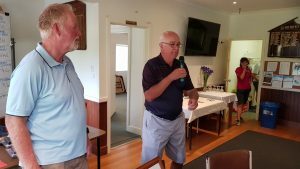 The best scratch (Gross) score was won by the Kerrlily Cleaning Team comprising Ryan Akers, Brendan Chenall and Malcolm Bett with 63 off the stick. 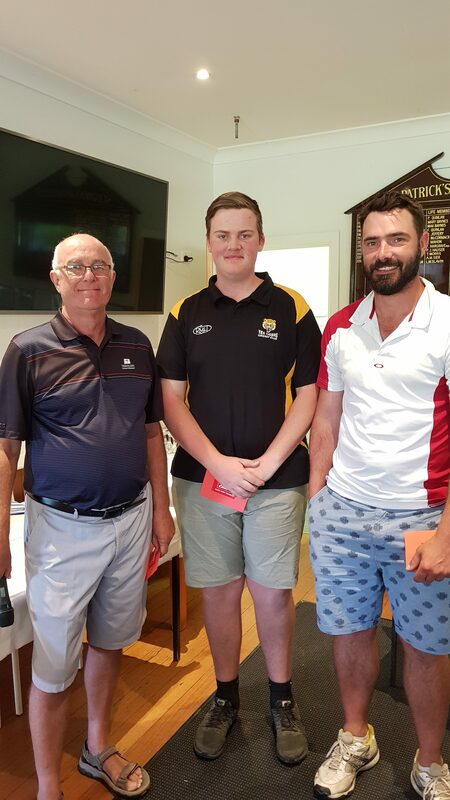 NTP winners were Ross Girwood, Ross Percy, Greg Hanson and someone. 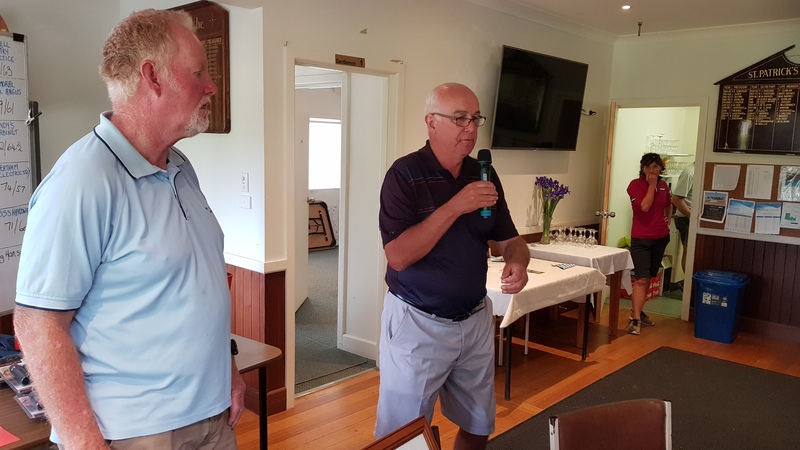 The straightest drive was won by Stuart Hart.